If you feel excessive vibration in the car, or wobbling of the steering wheel, your tires may be unbalanced. Moberg's Automotive Repair has the professional equipment and technicians to measure the balance of your vehicle's tires and make necessary corrections. 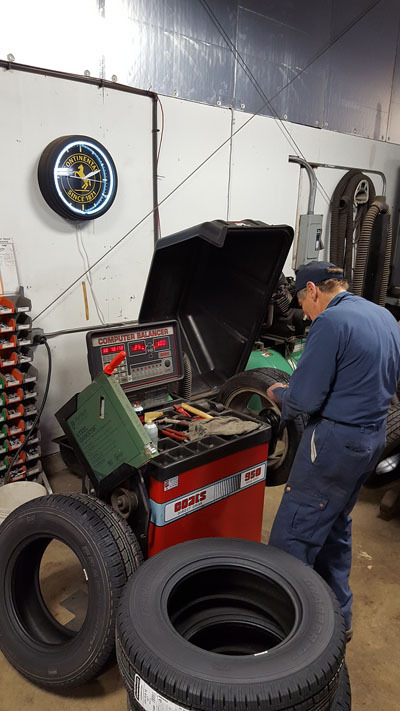 Call us at 847-362-8905 if you have questions, or contact us so we can evaluate your tires. An incorrectly repaired tire could pose a safety hazard to you and your passengers. At Moberg's Automotive Repair, our tire experts will determine whether your tires are able to be repaired, or if they need to be replaced. If the tires are repairable, our certified technicians will make sure they are repaired correctly and get you back on the road. At Moberg's Automotive Repair, we understand that tires are an important part of your car. The quality of tires and material used on them highly affects the vehicle's performance. Their main purpose is to protect the wheel's rims and improve vehicle performance. For this reason, we only deal with brand name tires. Also, we offer fleet tire management services to ensure you are getting the best value, fuel economy, and life from your tires. Once a need for new tires is determined, it is necessary to identify the best tires for your vehicle and driving demands. Look for tires that do well in tests for braking, handling, and resistance to hydroplaning. Winter traction should also be considered, if applicable. Let tread wear, ride comfort, noise, and rolling resistance be tiebreakers. Trust the tire experts at Moberg's Automotive Repair to help you choose the right tires for your vehicle. 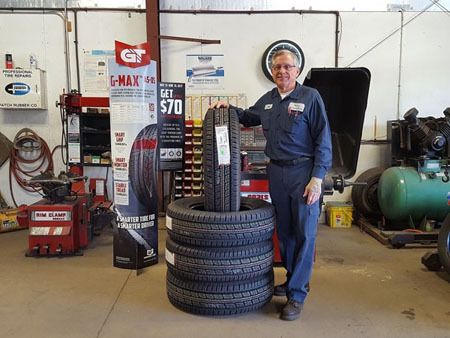 Moberg's Automotive Repair is a Continental-General tire store, but we also have other brands available such as the ones below.